Some of my favourite T-shirts from Sheinside. I especially love those ones with logos like: Boy London, Céline Paris and Fake Chanel. In fact, they are so cheeeeap. 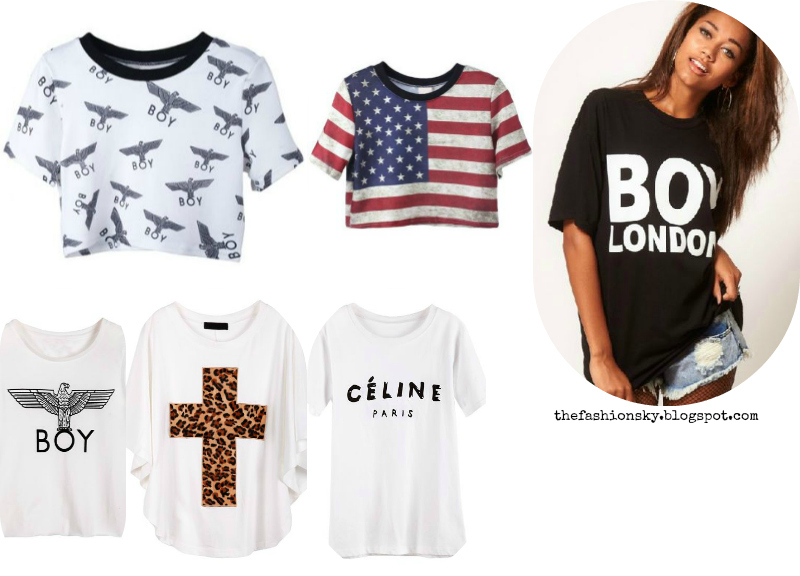 Go and take a look at all the different tees from Sheinside by clicking here! ooohhh quiero la de la cruz de leopardooo!!! :)buena seleccion!!!!!! great t-shirts. I love all of them ! Nice post and great blog! Thanks for the comment and YES we can follow each other! I am following you and hope you'll follow me back! that is where people are getting that celine tshirts. by the way, for your previous post! i like the fourth picture! you look sooooo adorable!